The Witt Industries Wastebasket Recycling Bin is a space-efficient option designed for compact recycling in public areas. 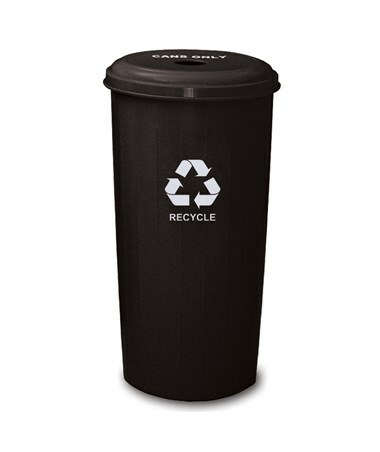 This tall round waste bin measures 28” x 36” and weighs 15.3 lbs. It also has a capacity of 20 gallons and comes with a white recycle decal and label on top. 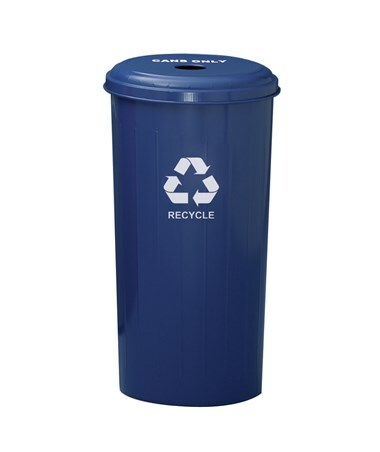 Made of fire-safe USA recycled steel, the Witt recycling wastebasket has three top options that include a round hole, slot, and dual stream combination top. 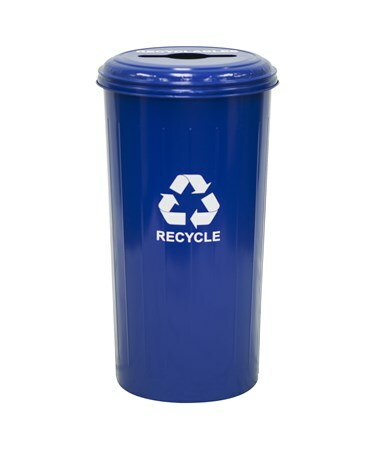 The recycling bin with 4” round opening at the center is great for recycling cans while the bin with an 8” slot opening is great for recycling paper and newspaper. 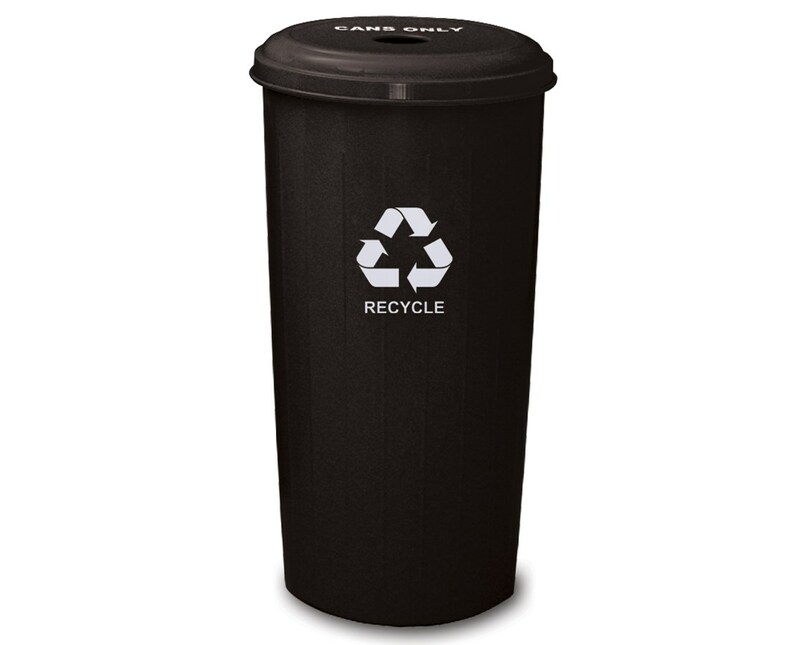 For recycling both cans and paper together, choose the wastebasket with the combination top. 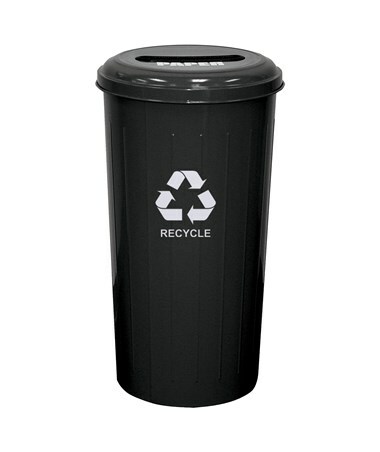 The Witt Industries Wastebasket Recycling Bin comes in three top openings and two colors. Kindly select your preference from the menus above.